So sweet. Love the rainbow of banners. This is happy Jen, love your rainbow of tiny banners/flags! 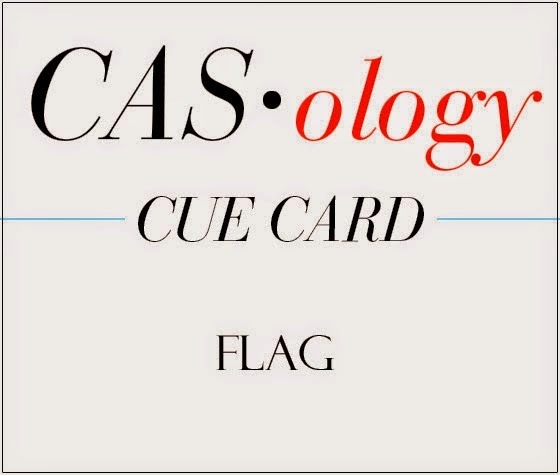 I love this, Jen - colourful but still CAS, a brilliant interpretation of the cue word! Rainbows make me happy...this card makes me happy! LOVE rainbows! This is really fun! I love how focusing on an unexpected area impacts the feeling of the card! So CAS, and so perfect! 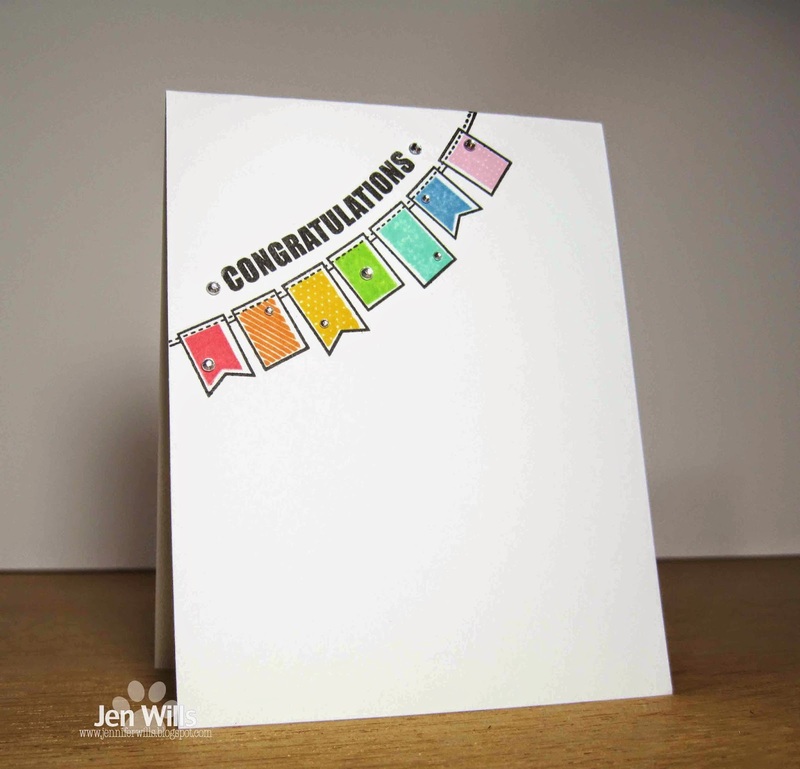 Love your rainbow banners - uh - flags, Jen, and the way you curved the sentiment. Jen, I love how the placement of your banners adds a punch of color but still leaves tons of white space. Such a great card! What a fun card design. Love your rainbow flags. Love them colorful FUN flags!!!! This is such a fun card. Love the rainbow banners with the sweet little gems. Nope, that's pretty much perfection right there!